When I left you we had just spent an amazing and surreal night camping out on the ice. As mentioned, I got about as much sleep as anyone during the night, snug as a bug in a rug. Kate not so much. But we were quick to depart our snowy hotel and head back to the ship at about 6am, as bad, snowy weather had set in quite quickly. 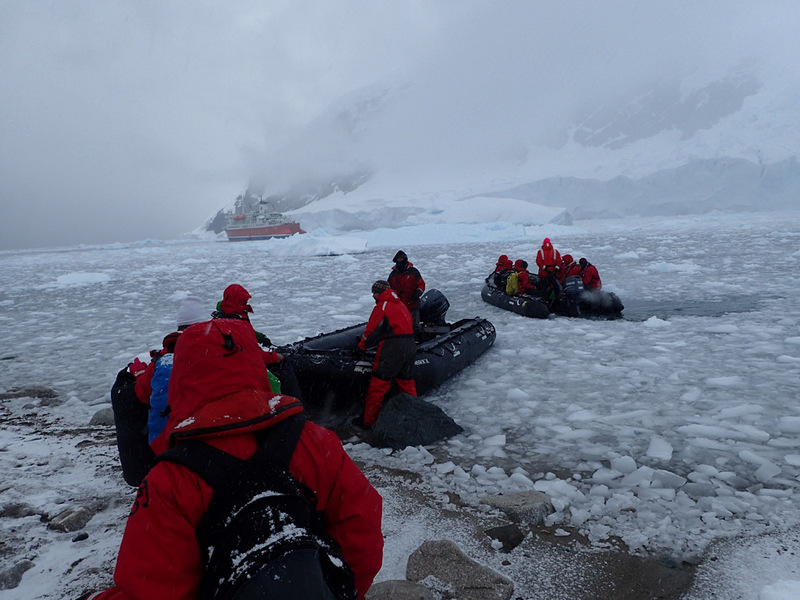 By the time we got back to the ship the snow was falling quite heavily. So it was officially a white Christmas! On getting back to the ship, Kate was straight to sleep given she had next to none over the night. With about 4.5 hour under my belt I was good as gold,so spent the morning out on deck. It was a quiet morning, with no formal activities planned due to the tiring nature of last nights camping. The plan was to cruise through Paradise Bay to do a spot of whale watching as we headed toward Port Lockroy. Our good fortune had to run out. Normally whales can be found getting curious with the boat, but alas only one disinterested humpback was all we came across in a couple of hours. 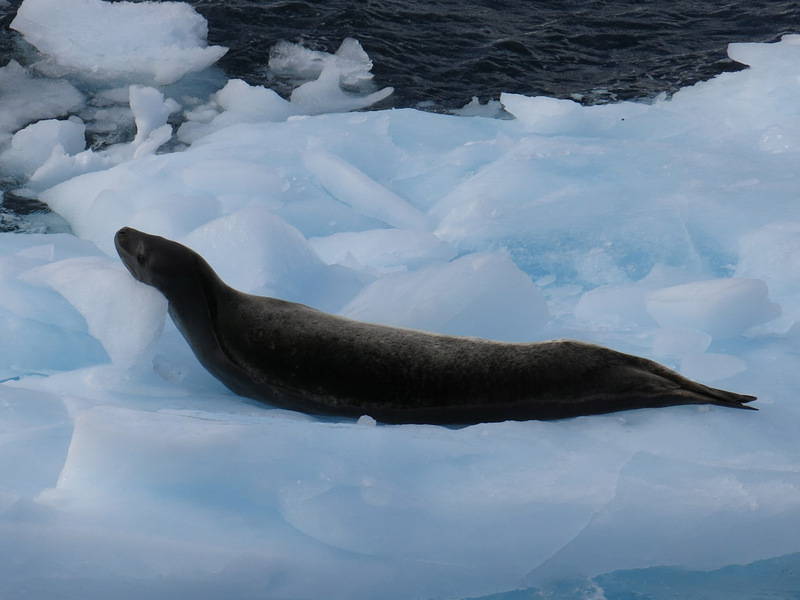 We did encounter a cool Leopard Seal though, just hanging out. No matter, the views were absolutely stunning (like everyday, I know). The huge mountain range we cruised along is actually an extension of the Andes from South America, and as such was dramatic along the water. Every turn produced some new breathtaking view. 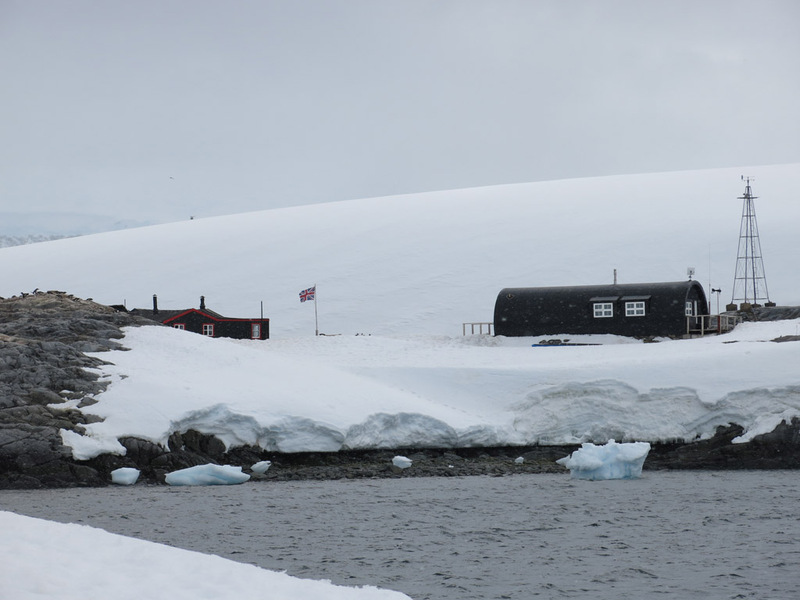 We also passed by a couple of Antarctic bases, one Chilean and one Argentinian. It seems both nations are keen to set up shop down here in case a land grab comes up. By lunchtime we reached our main destination, Port Lockroy. 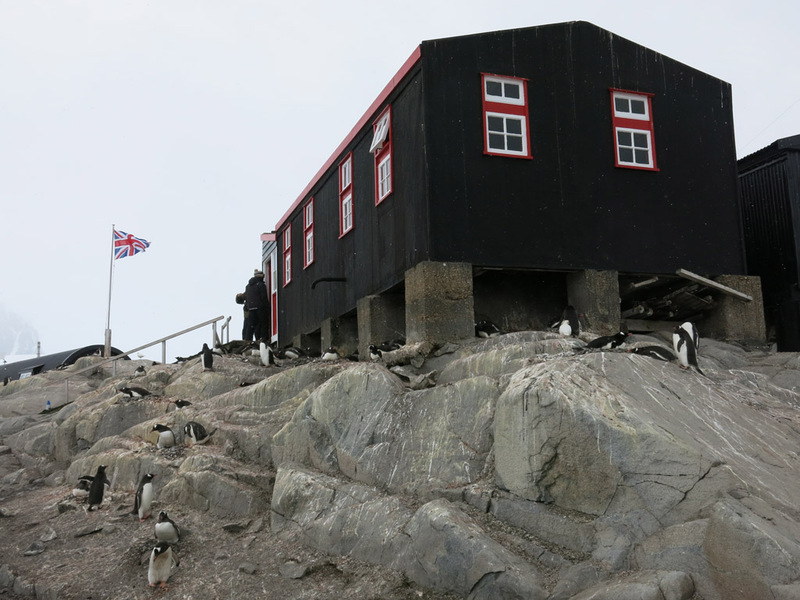 Port Lockroy is actually the most popular tourist destination in Antarctica. “There is a tourist destination?” I hear you ask? 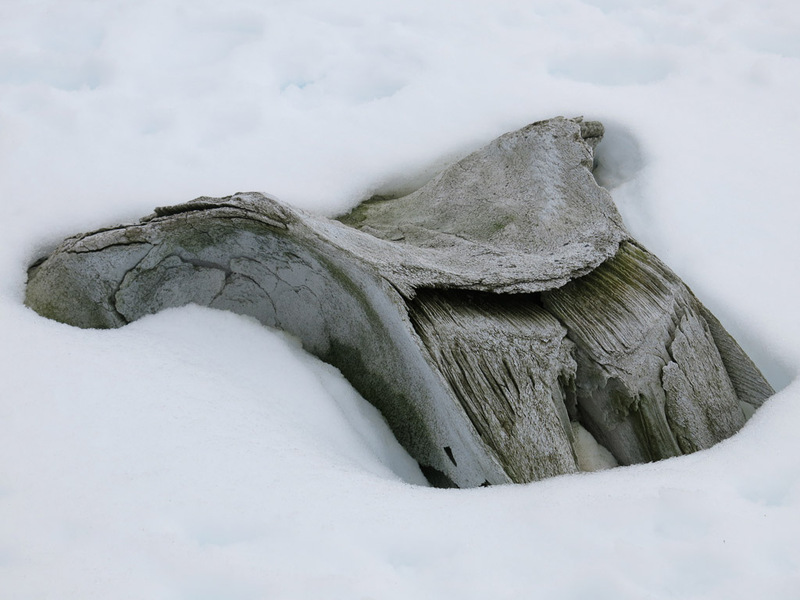 “What makes Port Lockroy so special? Penguins? Seals?”. Nope, it is the Post Office and the Gift Shop. 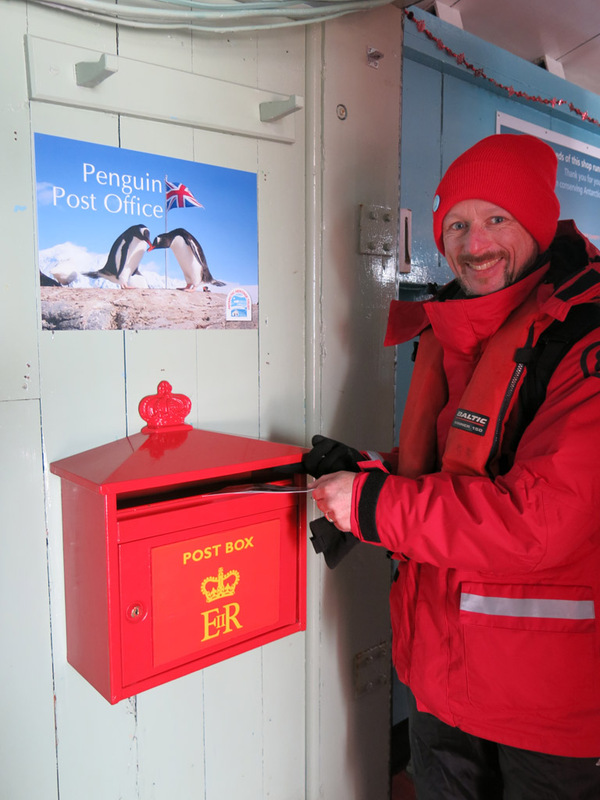 Yep, Port Lockroy is the southern most public Post Office on the planet, and for just $1, you can send a post card to anywhere in the world. And even scheduled to be delivered in 1-2 months! 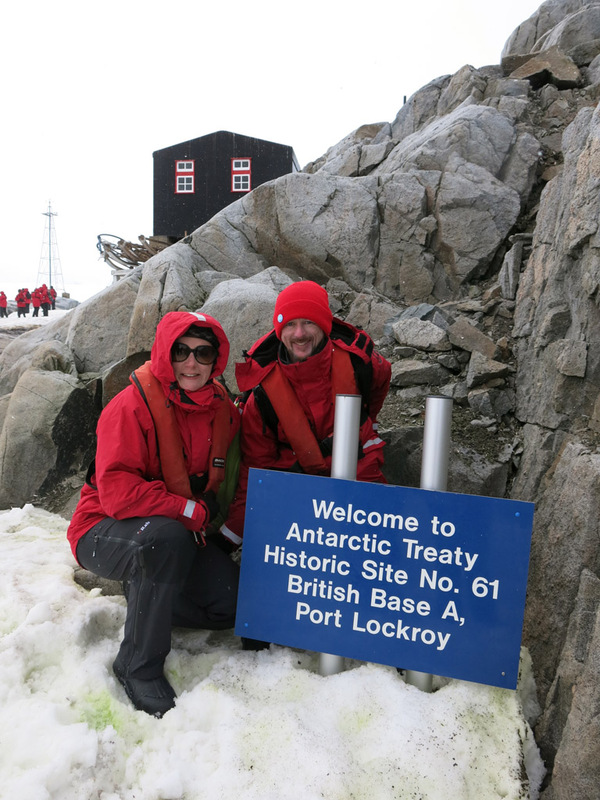 But Port Lockroy has a bigger history than just being a post office. It was a primary British research centre from around 1944 until the late 1960’s, and in the building are the rooms as they were set up back in the day. A great deal of pride has been taken to keep this as a historic place, and the museum is really quite fascinating. hope these make it home! There is also a very popular gift shop, selling all kinds of Port Lockroy merchandise. Given money was going toward maintaining the buildings on the peninsula and the museum, it was hard not to pick up a souvenir. 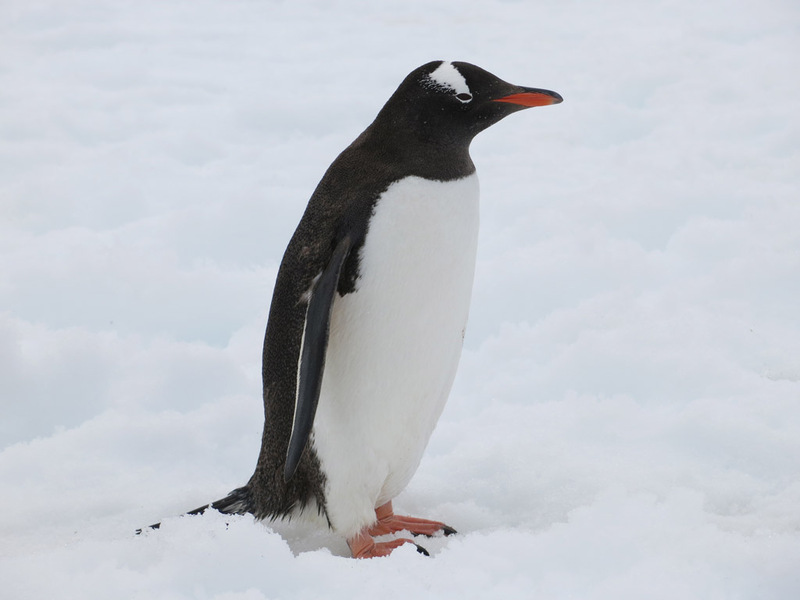 The other drawcard is that it is another penguin colony, this time for Gentoo penguins. What makes this colony interesting and dfferent is how they just wander around the buildings and interact a little more with the visitors. We still kept our distance, but they were less worried about wandering around our feet. There was also one lonely looking Adelie penguin just hanging out too. Poor little fella must have lost his way. 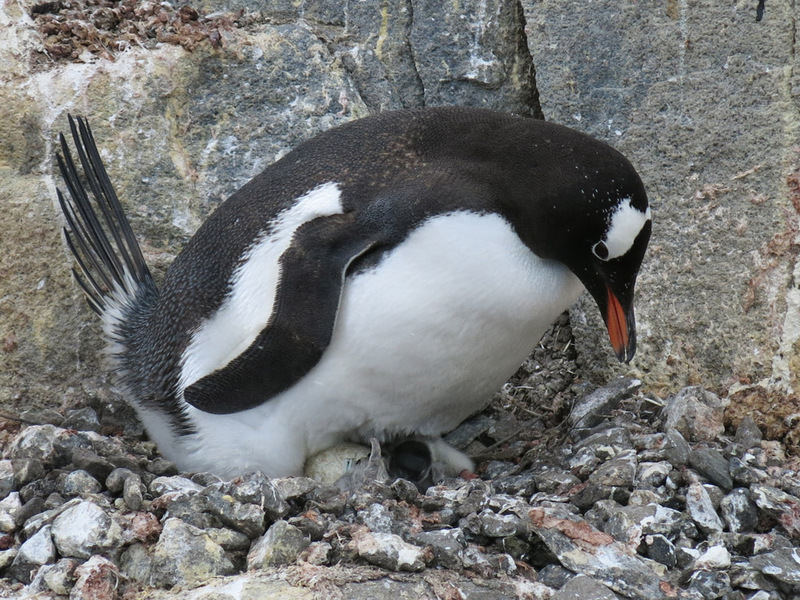 But the great part about the visit to these penguins were that they had just started hatching new chicks. There were two new additions to the family in the colony, and we were eagerly waiting for the new mums to proudly show their chicks. Alas after waiting for a bit, it seemed they were determined to keep them warm in the nest. So alas as we gave up hope of seeing a new chick and began wandering to the awaiting zodiac, a miracle happened. Our guide Phil called out “a chick has just hatched!”. Unbelievably a chick hatched from an egg right before our eyes, and I was there to see it. Even now it is just mind blowing that I got to see such a thing in the wild. The half dozen of us that saw it were just beaming. While we got some not too bad photos, that memory is now indelibly etched in the memory. Right next to Port Lockroy was another haven for wildlife, Jougla Point. Like Lockroy there were many penguins hanging about. But here there was also an amazingly well preserved whale skeleton (well parts anyway). The age wasn’t known, or the exact whale, but to see a skull and part of the spine and ribs so well in tact was quite something. Here we also came across a random Weddell Seal, just hanging about on the beach by themselves. This fella was having a great old time lying there and having a scratch. At times they would make almost whale-like sounds. It was hard to believe such alien sounding noises were coming from the happy old seal just in front of us. The penguins here were quite funny. We saw a couple going and pinching rocks from another nest and running off with them. “All penguins have criminal tendencies” was a line I heard in a penguin doco we watched on the ship and it certainly seemed true in this case. 6pm was approaching and the weather was coming in again. It was certainly colder and snowier than it had been since we arrived, so we were whisked back. After our regular nightly debriefing we were treated to a great Christmas dinner, complete with lobster. Mmmmm…. I could get used to this good living. It was then it dawned on me that it was indeed Christmas Day. I had one white Christmas before in Switzerland, but this was something else. This will forever be an impossible one to beat.